Your website is the most important real estate you will own online! 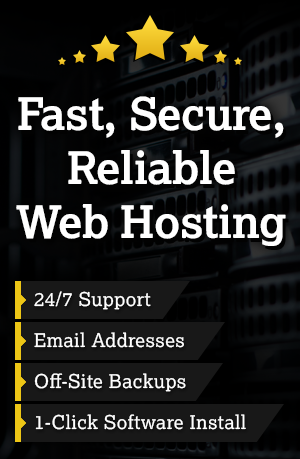 In an increasingly computerized era, a business website is an indispensable facet of any successful enterprise, regardless of its scale, size, niche or industry. Unfortunately, there’s a growing horde of online entrepreneurs who are under the mistaken perception that as long as their business website is attractive and ‘easy on the eyes,’ then their marketing or branding strategy of choice will convert to its highest possible potential. It takes more than just a fancy look to turn leads into loyal paying customers. It takes even more than that to impress them enough for them to bookmark your site for future references. That said, this is an entirely a broad realm; hence the need to break it down to five main aspects. Here’s a quick primer to the five main elements of a converting business website. 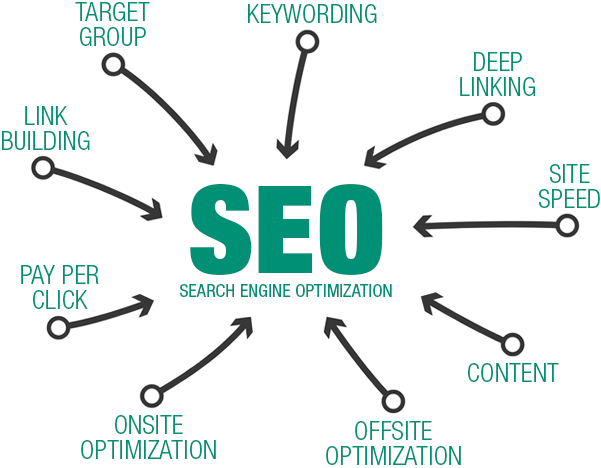 Search Engine Optimization (SEO) is the heart of any effective digital marketing and business visibility strategy. An excellent rank on Google (preferably top 5) and other major search engines such as Bing means a steady mammoth stream of free organic traffic. This is why SEO should go hand-in-hand with your overall entrepreneurial goals and objectives. In other words, search engine optimization should be an element of each of your future business plans, whether you’re planning to downscale, upscale, overhaul, or redefine your website. Make sure as well that you blend your SEO approach with a well-strategized landing page. Your website’s homepage should explain over 90 percent of what your business entails as clearly and precisely as possible. Remember, online shoppers have never had a shorter attention span than today. Human beings may be visual creatures, but that does not mean that they will not choose something plain but functional over an attractive yet hard to use layout. So, it’s really a question of fusing the two elements to give rise to a visually appealing yet easily navigable site. Bear in mind that it takes just a single button for a website visitor to exit your site. A thoughtful site architecture, then, especially as far as the menu layout and page layout goes, is necessary if you’re to reduce the site’s bounce rate. Your website design should also be mobile-responsive enough to improve your visitors’ overall user experience, considering that over 70 percent of today’s e-commerce customers use tablets and smartphones to browse and shop online. This may sound like a no-brainer for any sensible person, but you would be surprised to find out that more than 70 percent of business websites today make their visitors and potential customers jump through hoops before finally accessing the page with their phone number or physical address. What’s more, most web designers tend to ‘bury’ their business contact info under an unsightly array of images or embedded PDFs, instead of displaying the info clearly for everyone (including search engine bots) to see or archive. As a discerning online entrepreneur, your business website’s contact page should go beyond and above the bare minimum. It is even a good idea to put your contact details on almost every major page of your website, thereby subconsciously reminding them that they can reach you even without necessarily leaving the page they are in. It’s also worth noting that search engines (notably Google) greatly appreciate detailed and accurate contact info as this assists in bolstering a website’s reputation and trust level. It’s surprising how very few website builders implement effective Call-to-Action strategies. It’s almost as if most of them concentrate only on developing quality content and improving the site’s visibility at the expense of enticing and arresting CTAs. However, without CTAs, your website is merely a tunnel of information and attractive images that may or may not catch the attention of visitors who may stumble upon your site by chance. It’s also a proven fact that websites with intuitive site navigation paths and juicy CTAs enjoy from significantly lower bounce rates than those that do not make it clear what they would wish a website visitor to do after viewing/reading their content. For your business website’s CTA to make sense, it is vital to infuse them with your marketing objectives. For instance, is your primary objective to persuade your website visitors to make a sale or are you just interested in their contact info for future email pitching? Whatever it is, let it reflect through your website’s CTAs. One of the common, costly mistakes that website designers make is overlooking the importance of going straight to the point when crafting their business site. a detailed, accurate Google map illustrating the property’s exact location. However, you should go further than this and include, say, a gallery showing high-res pictures of your facility, the dishes prepared, and links to reputable review sites such TripAdvisor or Yelp. Either way, all this puts you in a better position when search engines are looking to add new hotel websites to their organic search results. Getting targeted visitors to your website is one thing, making sure that they stay there long enough to make a purchase or subscribe to your weekly newsletter is a whole different thing. Find a way to blend these two and still add the option for your potential customers to connect with your business through various popular social media channels such as Instagram or Facebook. With all these important aspects of a business website squared away, you’ll find that not only does your website reach your targeted audience, you increase conversions, too, leading to more sales.